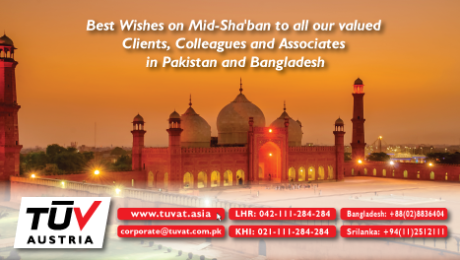 Best Wishes on Mid-Sha’ban to all our valued Clients, Colleagues and Associates in Pakistan and Bangladesh. TUV Austria is a leading certification and inspection company. Have a blessed Vesak Full Moon Poya Day. 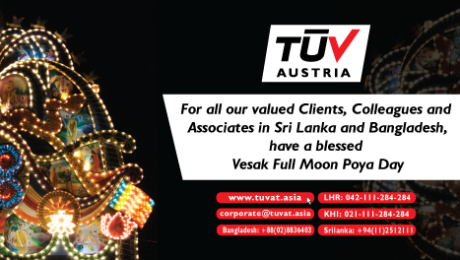 For all our valued Clients, Colleagues and Associates in Sri Lanka and Bangladesh, have a blessed Vesak Full Moon Poya Day. 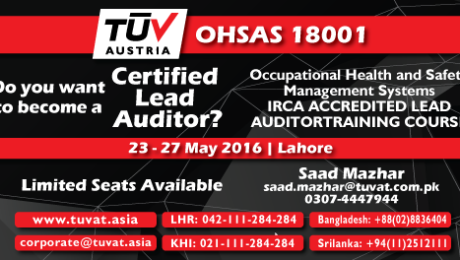 TUV Austria is a leading certification and inspection company.